Raising a family is expensive... we help you get MORE for your kids for LESS! Check the schedule below. Don't forget your FREE tickets (link below). Shop THOUSANDS of name-brand, like-new items at a huge savings...50-90% off retail! Find clothing & shoes for infants through juniors & maternity too, toys, books, baby equipment, seasonal kids' items, and so much MORE! Save the date... this event only happens twice per year! Doors close at 8:00pm, registers close at 9:00pm. 9:00am-7:00pm - open to the public! Friday, May 10th - 25% off Day! 9:00am-5:00pm - open to the public! Doors close at 8:00pm. Registers close at 9:00pm. Saturday, May 11th - 50% off Day! JBF Is a FAMILY-FRIENDLY EVENT! 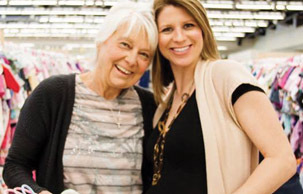 Bring dad or grandma to watch the kids while you shop! Join our Facebook event for more announcements and info about kids' activities! You don't want to miss the JBF sale, it only happens twice per year! Sign up for our emails to stay in-the-know! I loved getting to shop the presale!! I got my daughter's full fall wardrobe at a fraction of the prices I would have otherwise paid. All of the clothing I purchased were in like-new condition! My daughter is thrilled and what I consigned more than covered what I purchased! JBF is such a money saver for our family! We will definitely be shopping again! Easy to set up/drop off and very easy to pickup. Great to track sales throughout the sale. I like that my items have a second life … going to another family that wants them. I feel less wasteful and can earn a little to buy the next season of clothes & sports equipment for my kids.